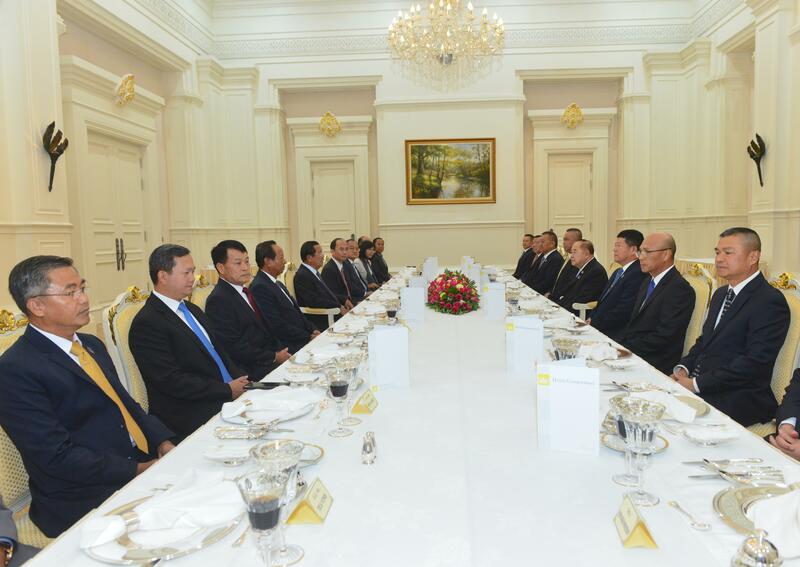 Phnom Penh (FN), Feb. 14 – Deputy Prime Minister Prawit Wongsuwon, Thai Defense Minister informed Cambodian Prime Minister Hun Sen that borders of both countries are at peace, speaking in a courtesy call at the Peace Palace Phnom Penh on Thursday. 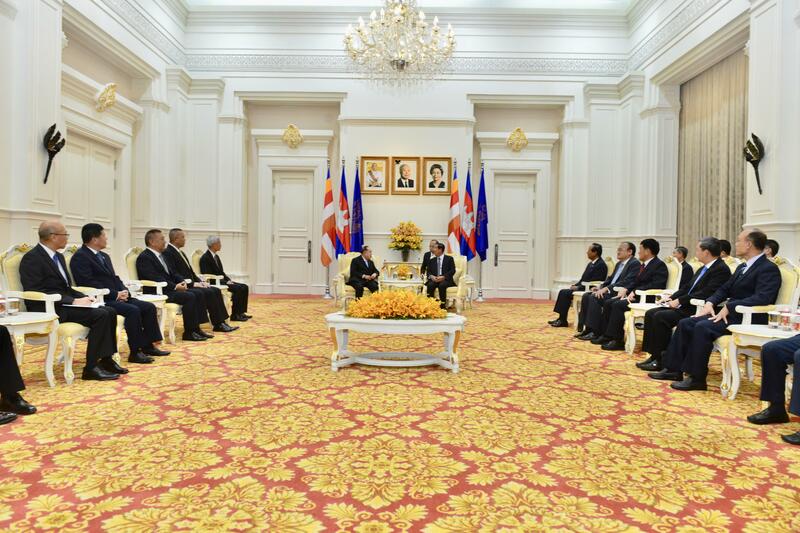 Eang Sophalleth, personal secretary to the premier, told the press that today’s meeting aims to strengthen and promote cooperation between the two countries in safeguarding peace, stability, cooperation and development of Cambodia-Thailand border. Cambodia and Thailand pledged to upgrade the four border gates and open new checkpoints to boost bilateral trade and tourism along the border, aiming to increase trade alone to $15 billion over the next five years. The upgraded gateways are Phnom Dei border checkpoint of Cambodia’s Battambang province and Thailand’s Sa Kaeo province; Anses international border gate, connecting Preah Vihear and Thailand’s border; Chub Koki international border gate, connecting Cambodia’s Oddar Meanchey province and Thailand’s Buri Ram province, and Thmor Da border checkpoint between Cambodia’s Pursat province and Trat province of Thailand. The two countries’ bilateral trade volume reached $6.1 billion by 2017. 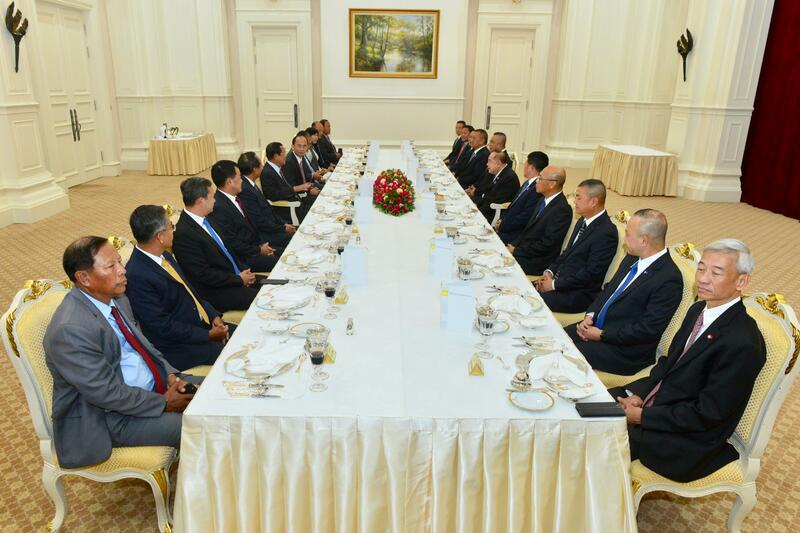 Both also agreed to balance the import and export of goods between the two nations. Prawit highly commended Prime Minister’s win-win policy and his visit to the memorial. 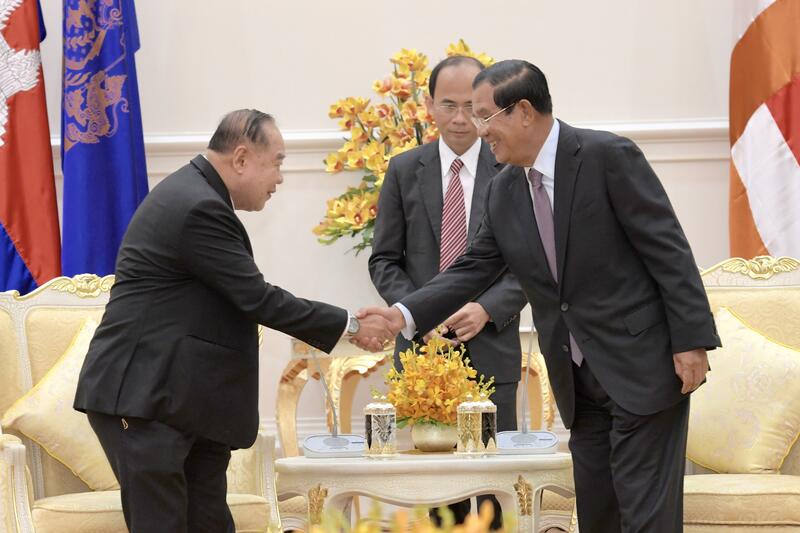 The defense minister was impressed that Cambodian strongman’s quest to pursue peace for the kingdom started with only five comrades. 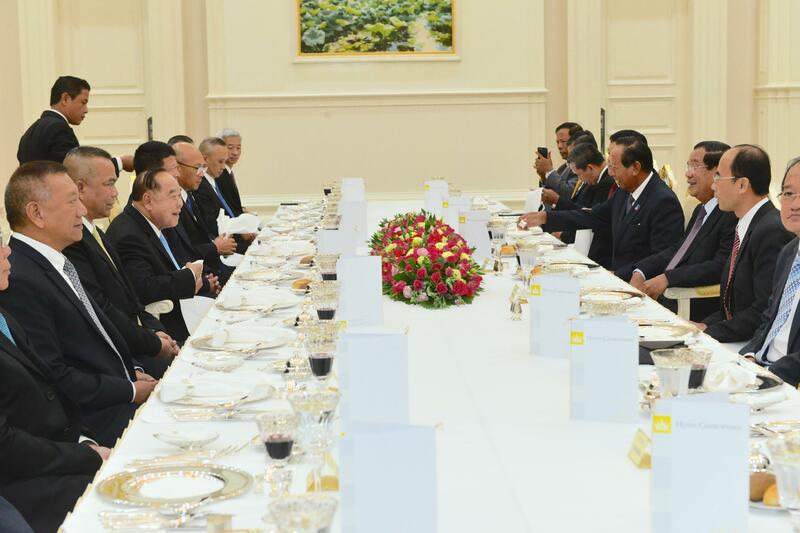 Prime Minister, in response, informed Prawit that the memorial also serves as the archives of liberation process of Cambodia from the bloody genocidal regime Pol Pot; it also features documents writing about heroes who contributed to the peace process. 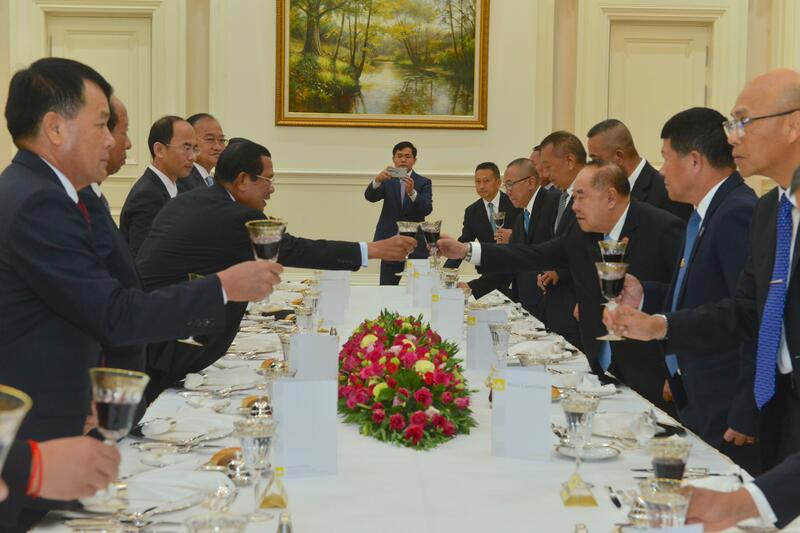 Prime Minister Hun Sen also congratulated Thai-Cambodia Ministry of National Defense for a fruitful 14th Cambodian-Thai General Border Committee Meeting (GBC) at Garden City Hotel, Phnom Penh, held from 13-14 February 2019. 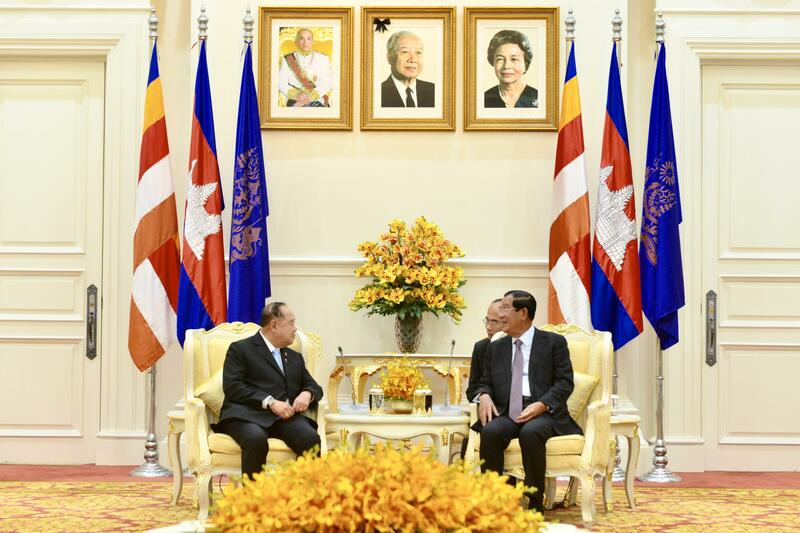 The GBC was held annually under the rotation of chairmanship since the signing of 2006 agreement between the Royal Government of Cambodia and Thailand. 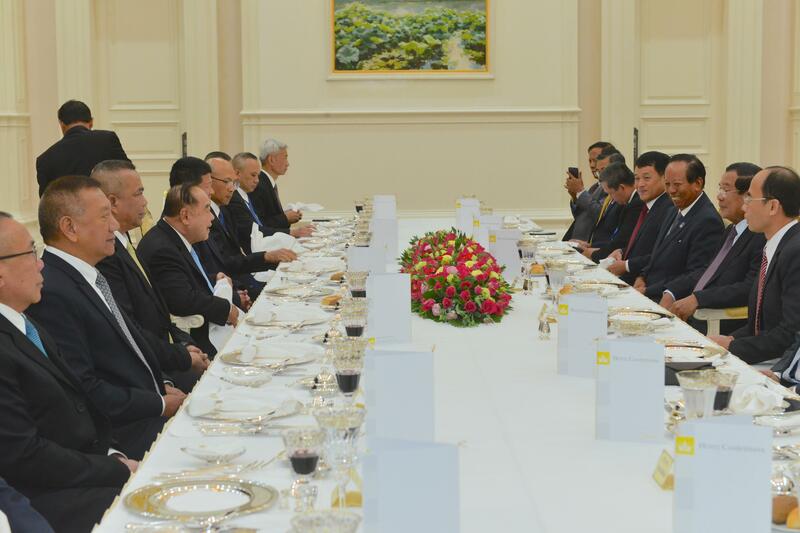 GBC, according to the premier, plays an important role in promoting border peace and development, particularly cementing the bonds of Cambodian and Thai people.